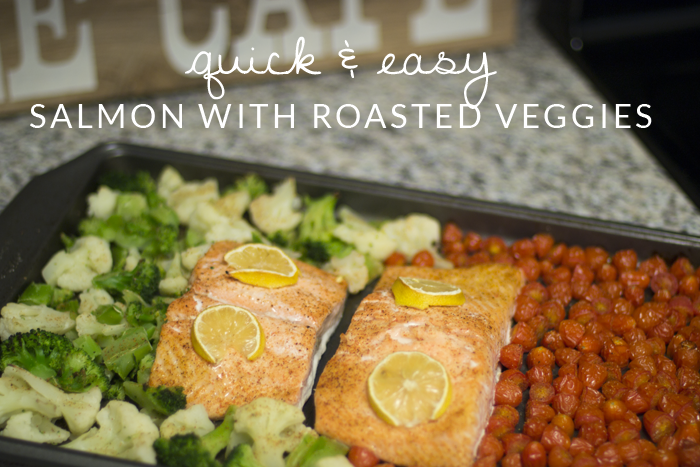 Salmon is my go-to fish to cook. It's so easy and it always makes me feel like I'm a professional chef. This dish also is perfect for the lazy - very few ingredients, very little cleanup. That's what I'm talking about y'all. I usually make this in a big batch so that I can have it for lunch and dinner throughout the week. Preheat oven to 425 degrees. Spray 9x14 pan with cooking spray (I prefer avocado oil). Slice grape tomatoes in half and place on pan. Lay salmon and frozen vegetables in pan. Make sure all of the vegetables (including the grape tomatoes) are in a single layer. Sprinkle Tony's Chachere all over vegetables and salmon. Place sliced lemon on top of salmon. Put tray in oven and cook for 15 minutes. So quick. So easy. So very delicious. What's your favorite way to cook salmon? Would love to try a new recipe!